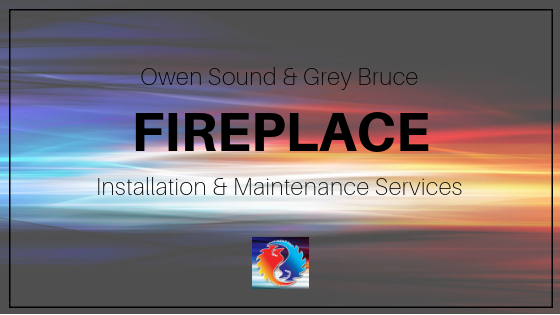 Crose Mechanical, an award-winning heating company, offers the area of Owen Sound fireplace services from installation to servicing and maintaining existing fireplaces. What Types of Fireplaces Does Crose Mechanical Install & Service? Crose Mechanical offers maintenance, and repairs to all models of gas fireplaces, and is a dealer for Continental, a sub-brand of Napoleon. Continental fireplaces are an affordable alternative to many lines of gas fireplaces while offering the same great look and design. We like Continental’s variety of fireplace, inserts, and stoves. Especially the CDVS500 gas stove offering up to 44,000 btuh of comfortable warming heat. What is the Difference Between a Fireplace, an Insert, and a Stove? A fireplace is something that you would build a nice wooden mantle around and place it on your wall. An insert is designed to go into a factory built masonry wood burning fireplace to vent up through the chimney. A stove is a freestanding fireplace that will radiate heat from all five sides. The four sides around plus the top. Eric is a big fan of stoves himself. A stove uses direct vent, meaning it gets its combustion air and exhausts out through the wall. This makes it ideal for a wide variety of installation locations. According to Eric, it throws the best and most efficient amount of heat in the fireplace line up. What Are the Pros of Having A Fireplace? Aside from aesthetics, a fireplace is a nice feature for a living room. A stove or an insert, with the click of a button or turning on your thermostat, can give you roaring flames and, with the aid of fans in them, blow the heat around. It can be hooked up to a thermostat and, aside from looking nice, they’ll keep your room or your area or your cottage nice and warm. Another great pro of a fireplace is that a lot of the models will operate and give you heat without hydro. If you live in a place such as Tobermory, Lion’s Head, or Ferndale – which is prone to power outages – a fireplace put in the right spot in your house will give you heat during those outages.